OurEnergyPolicy.org | Can Additional Funding Boost ARPA-E’s Tolerance for Risk? The Department of Energy’s (DOE) Advanced Research Projects Agency for Energy (ARPA-E) is responsible for funding transformational energy technologies that are too early in their development to attract private-sector investment. Projects funded by ARPA-E are typically considered high-risk investments due to the long and arduous incubation period for energy technologies. However, in 2015, the 2% of total project applications that ARPA-E funded raised questions about the agency’s tolerance for risk. Because ARPA-E has been under pressure to achieve results quickly, some have suggested that it has been more inclined to invest in projects that have a higher chance of success. This approach has caused concern from Congress in the past that ARPA-E has created market redundancies by funding projects the private sector is already willing to take on. Energy Secretary Moniz has warned that the agency must “guard against getting too comfortable” and look to invest in higher risk/higher reward projects. At ARPA-E’s 2016 Energy Summit, Secretary Moniz stated “we are still leaving a lot of innovations on the table,” suggesting that the agency would fund more projects if it had a larger budget. President Obama has proposed aggressively scaling up federal funding for energy R&D in announcing Mission Innovation, a U.S. led initiative designed to dramatically accelerate the development of clean energy innovation. The President’s FY 2017 budget requests $7.7 billion towards Mission Innovation programs, positioning ARPA-E as a major participant under this initiative. Specifically, ARPA-E would receive $350 million in discretionary spending, a 20% increase over FY 2016 spending levels. In addition, President Obama has proposed creating an “ARPA-E Trust” of $1.85 billion over five years. While Secretary Moniz believes increased funding for ARPA-E is justified, questions remain over whether more money will necessarily lead to investment in riskier, more experimental undertakings. Since 2009, ARPA-E has spent $1.3 billion on 475 energy projects, with 45 securing an additional $1.25 billion in subsequent funding from private-sector investors. Should the government do more to help commercialize transformative energy technologies? Has ARPA-E justified its mandate based on the private sector investment its projects have attracted? Should ARPA-E’s role evolve if its budget is significantly increased? 8 Responses to Can Additional Funding Boost ARPA-E’s Tolerance for Risk? It is not just the funding that is the problem. I have recently reviewed a request for submissions on innovative technologies and potential funding but found that if I submitted for that grant I would have to expose so much of my technology that I might as well have given it out to everybody and totally dismissed any chance to get patent rights in the future. This is a critical problem. I have seen more than one transformative technologies that could make a real difference in energy and in jobs held up for decades due to lack of interest and lack of funding. It is not the technical side that has the problem it is the funding sector. At the present time everybody from VC’s to government funding is so focused on the medical, digital and software world that they are too scared to take a risk in something else. If some level of privacy could be injected into the selection system of ARPA and DARPA so that they could review and hold secret for a limited period of time, say 4 or 5 years then I think you would see more innovation come to the forefront. Too many of the best ideas are from those that are asking different questions and generally many of them have not the funding to even get initial patents. That is the critical stumbling block the inability to get initial patent protection. If ARPA and DARPA can over come that I suspect you would see many come forward to get patent protection and then government funding could have a second phase that would allow for both proof of concept and full scale tests to be made. The funding is important but the manner of the funding in many ways is more critical. Offer in the wrong way and you can keep your money for nobody will come. Unless that is your point, to try to look like you are doing something. In concept, ARPA-E sounds good, but in practice it’s been disappointing to America’s inventors. The 20% cost share requirement (the applicant must pay at least 20% of the project) disqualifies nearly every startup right off, so grants go to big companies and universities — the priesthood of the old way. The funding opportunity announcements are for incremental improvements to existing technology, not big breakthroughs, and are so prescriptive as to be useless in finding new ideas. Deadlines for grant applications are too short. More money spent the same way won’t help, and might even further discourage the bold thinkers as they see who winds up with the money. The national labs should be scouting and nurturing new technology from outside, but they are stuck in the old paradigm of grant funded technology development where they don’t listen to outsiders and compete with them for money. There should be a way to submit truly new and scalable ideas for consideration and comment by national lab experts. There are a few fundamental points in the premise of the post that I think are worth addressing, but I’d like to respond to the issues Wilmot raises as well. First, many of the projects selected by ARPA-E are high risk not just because of the time horizons involved, but also because of the high degree of technical uncertainty involved. This might seem a trivial distinction, but it’s an important factor when considering whether projects are truly transformational as well as whether they’re likely to attract private investment. I would also add that while commercialization is a focus of the ARPA-E process, ARPA-E isn’t commercializing technologies, but rather helping project teams to address technical barriers and gain a better understanding of commercial considerations while connecting them with interested private investors who will be the ones to help commercialize projects. The premise that ARPA-E projects haven’t had a commercial impact, presented in the hyperlinks, rather than the initial prompt itself, is also disingenuous. Let’s first consider the fact that ARPA-E hasn’t existed long enough for many of the projects to complete what is often a 10-15 year development process. In the article from Technology Review, Mike Orcutt criticizes the idea that 45 projects have attracted $1.25 billion follow on funding as inadequate compared to the total of 475 projects receiving $1.3 billion in funding. What he doesn’t mention is that those 45 projects were from the early tranches of funding, which roughly halves the numbers he uses for comparison — hardly an insignificant omission. That of course also says nothing about the potential commercial prospects of such technologies — the financial contributions of George Mitchell, for example, in coordination with decades of federal research which contributed to fracking, pale in comparison to the roughly $430 billion that those technologies contribute every year to U.S. GDP. Arguing that such a high percentage of projects have received follow on funding obviously carries the risk that we are, in fact, being too conservative in the investments that we’re making and that the private sector would fund them if they weren’t being “crowded out”. But the research doesn’t bear out that assumption. For example,Sabrina Howell’s work at NYU demonstrates that such awards greatly increase a projects ability to receive venture capital funding, rather than diminishing it. Howell also finds that this effect is greatest for younger, unproven teams, which suggests that ARPA-E’s success in attracting follow on funding is a signal that it’s funding the exactly the right type of projects. This synergistic effect is based on the reality that smart federal investments can serve to de-risk projects at critical stages so as to overcome the key structural barriers to private sector investment in energy R&D. From a political perspective, the concept of crowding out helps to create a catch-22 that can be used as an argument against R&D funding no matter the result; if too many projects are successful, then we’re crowding out the private sector but if too few are successful, then we can’t justify the expenditure. The lack of agreement on what constitutes an optimal amount of failure is one that seems likely to persist in the current economic climate. Meanwhile, the economic benefits of such investments have a storied history in the U.S., and the contributions of technological innovation to the rise of American economic power in the 20th century have been widely documented. Of course, there are a number of other market factors that contributed to that economic dominance, but the investments that created the world class set of facilities and institutions in which those discoveries happened were critical. The corollary trajectories of investment and economic growth in other countries, for example, South Korea point to the growing need for American investments that allow us to keep pace or risk being left behind in an increasingly dynamic, globally competitive energy market that already surpasses $6 trillion and is poised to grow significantly in the coming decades. The focus on developing competitive technologies is something that ARPA-E excels at and the model is one that could be implemented more broadly across DOE to improve operations. The focus on commercialization, provided by tech to market advisors that mimic the guidance a venture capitalist might offer through the development process, strict metrics and performance standards as well as cost-sharing requirements are all practices that make ARPA-E a program we should be supporting. Which brings me to Wilmot’s points, some of which I’ve already addressed. The cost share requirements are different for small businesses than large businesses — A domestic educational institution or domestic nonprofit applying as a standalone applicant is only required to provide 5% of the total project cost as cost share – Many ARPE-E awards are to academic institutions. Small businesses – or consortia of small businesses – are given a one year grace period where they provide 0% cost shares while being connected to private capital through the ARPA-E program that can help them raise the 10% cost share required throughout the remainder of the project. While it’s true that some larger companies receive funding through ARPA-E, more is asked of them from a cost sharing perspective. The high risk nature of these projects also mean they are unlikely to receive a green light from shareholder focused companies without the benefit of the de-risking that such awards provide. If the objective is to fund transformative projects rather than tilt the playing field away from incumbents, then this hardly an unfair approach — particularly given the accountability such investments embed in the process. It’s also inaccurate to suggest these aren’t transformative technologies or that the program is overly prescriptive. The programs can be organized around specific goals; the AMPED program, for example, sought to “reduce the cost, volume, and weight of electrified vehicle battery systems by as much as 20-50% while retaining or improving lifetime, safety, and performance” – hardly incremental – by creating “comprehensive solutions that combine data from novel sensors with advanced models, system designs, and controls [that] can drastically enhance the utilization and rate capabilities of battery systems within safe limits while extending their lifetimes” – hardly prescriptive from a technology perspective. 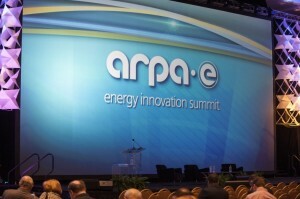 ARPA-E also hosts OPEN funding solicitations, including 41 projects who received $125 million in awards in 2015, “evaluated based on their compatibility with ARPA-E’s mission, the novelty of their approach to energy innovation, and the extent to which they meet technical needs currently underserved by other parts of Department of Energy (DOE) or the private sector”. — I’m not sure how less prescriptive these solicitations could be. There are also numerous examples that poke holes in the idea that these are incremental technological advances. 1366 Technologies is such an example, having been awarded $4 million in the 2009 Open Program. They’ve developed a method of manufacturing silicon wafers that reduces the cost in half. Because of the percentage of installed cost related to wafer costs, their process could save ~20 percent of installed cost – that’s potentially transformative. It’s also why they’ve attracted $70 million in follow on funding and are building a $6 million pilot scale factory in Massachusetts, all of which could lead to a thousand jobs and a significant impact on the overall cost of solar energy in the U.S.
As for the National Labs – they are, and really the entire DOE enterprise is, doing a much better job scouting and nurturing projects from outside the labs as consortium approaches like the Energy Frontier Research Centers and Innovation Hubs actively work to incorporate varied expertise to better align the Labs with an economic growth focused mission. We recently issued a report examining those different institutions. An example that I’d like to highlight is Cyclotron Road, which runs a national competition to select project leaders with high-impact technology ideas that would be unlikely to receive private sector support for the early stage of research and development. Cyclotron Road embeds these innovators at the Lawrence Berkeley National Lab for up to two years in a mentored technology entrepreneurship program – providing just the opportunity Wilmot rightly suggests would be worthwhile. In summation, federal investments in energy innovation aren’t just valuable, they’re essential. ARPA-E helps entrepreneurs cross the technological valley of death and has successfully enabled follow on, private investment by de-risking projects that have the potential to transform our energy sector and create important economic benefits while doing so. First of all WOW very complete. You address many points well but there still is a critical problem in both government and private investments. I have been involved with a new water desalination and separation technology and numerous hydro systems where we have worked for over 20 years trying to get out technologies out. Because the other developer and I do not have PHD’s behind our names attempts to talk to anybody at the NREL and others has fallen on deaf ears. Finally my friend after getting proof of his technologies performance by an MidWest Research Institutes independent test and a review of their work and data from a firm in Ireland they are finally on their way. They are looking at far more than a 50% reduction in the energy consumed to separate water from ethanol and have just recently been published in trade magazines. Now that the government staffers have head of him and have reviewed his work they are falling over themselves to help. Where were they for the 10 years he had his independent research completed and was trying to get funding. I know of a couple of others that because of the paper work and requirements have decided to not even try. Some of those have gone overseas already and I am considering it. A very critical problem is that even the RFP’s can be so complex that many of the creative types have difficulty weeding thru the process. I think it would be very valuable to have a few staffers be able to be mentors to help them fill out the forms. I would also be critical to make that known. The creative idea makers are often the least able to get thru the paper work to even apply. An additional fund should be developed for early stage patent application funding. While there is critical need for technical funding, forgetting patent cost can stop many projects from proceeding. One of my wind turbine systems will have over 15 patents required to protect all of the ideas needed to make it function properly and at a cost of over $15,000 per patent or more that becomes prohibitive. Mr. Wilmont McCutchen does have a valid point about an Old Boys Club and funding. What is worse is that VC’s are all following the governments lead. If you can not get any attention from the government you are also frozen out of the VC world. I have had that comment more than once. I will repeat it is not just the funding but the manner that you fund and the willingness of the funders to work with the creative and sometimes flaky people to get them pointed in the right direction. Cyclotron Road is wonderful but not all the inventors and creative people are in California. Spread that idea around and you might just get more bang out of your investments. I must say I am a fan of ARPA E. I think of their approach as mission oriented fundamental science. Sometimes it is not quite fundamental science, but that is OK so long as it is innovative and preferably game changing. The emphasis on commercialization is good for public money. The cost share point made by Wilmot: it really is hard to have one size that fits all (see also Todd’s discussion above on this). Startups may have difficulty in getting cost share, and I say may, but they have access to program such as SBIR’s which non-profits do not and intended for exactly the stage of their development. An attractive aspect of ARPA E’s approach is the hands on supervision of the program; sort of like some of the better VC’s: respecting the science but guiding the next steps, including IP, which was referred to in the thread above. Will additional funding give more appetite for risk? In principle yes. All these outfits have to work on the portfolio model, spreading the risk around. The proposal to increase funding would not be on the table but for the outfit’s track record of commercial success. Asking them to take more risk is fine, but there will be naysayers if many of these fail to deliver. Different program, but need I say Solyndra? I say increase their budget because they are delivering value on public monies and let them do their thing. I would love to hear from someone about the interface between government funding for innovation and private investment with venture capital and investment capital. It is taking a very long time to move private investment dollars into renewables and the prevention of climate change. The banks have just this month stated policies of not funding any new coal developments. Is the ‘dollars for innovation’ problem related to the fact that we are totally changing our energy systems and putting to bed the profits of major industries with major political power? The American Petroleum Institute certainly had the power to meet their goal of raising doubt about the science of climate change and that doubt, among other things delayed movement into renewable energy. And isn’t innovation that replaces whole industries for community reasons, clever air etc, very different from growing brand new technologies that begin life as co-existing methods? The problem of innovation funding seems to be inextricably linked to the political power of what it is replacing. Yes, backlash from vested interests is one of several factors hindering the ability of government to foment innovation. See my book, Energy Innovation: Fixing the Technical Fix. Let’s grant at the outset that there is a relative shortage of investment in innovation in the energy sector compared to other technology-intensive industries. One (not minor) reason for that is that major segments of the energy sector entail large capital investments in massive, durable infrastructure that turns over slowly. Moreover the elements of that infrastructure are integrated into an installed base of far-flung, complex, interdependent systems that are not amenable to radical change in their constituent parts. So before considering the question whether the government should do more to goad innovation in energy one should ask how much can be accomplished, and how fast, given the latency of large swaths of the energy sector? It’s probably not realistic to expect the same pace of innovation — and investment in innovation — seen in the IT and software industries, or pharmaceuticals. In fact, rather than the government investing (more) in R&D directly, it might make more sense to focus on ways to reduce the latency and barriers to innovation in the energy sector. Along that line in fact, some propose regulatory and other policy changes that would promote micro-grids, and an overall less integrated, more granular and distributed electricity infrastructure. Another such argument for creating a more innovation-friendly environment for innovation is to impose a carbon tax that would substantially raise the cost of fossil fuels. The idea is that if fossil fuels were more costly, manufacturers would invest in developing new technologies that either use such fuels far more efficiently, or that replace them altogether. Because of the political difficulty of enacting such a policy, government has fallen back on setting fuel-economy regulatory standards, leaving it to the private sector to create innovations that will satisfy them. The point is that marginal dollars proposed for ARPA-E could be allocated instead to alternatives that might be even more effective in fomenting energy innovations. In other words, if asking whether more money should be invested in ARPA-E, a concurrent question should be: Compared to what? But DOE does not own or operate most of the country’s energy infrastructure, though the government does own some. The government as a whole is a big enough customer that its requirements can to some extent skew what the commercial market produces. (Which is another non-R&D policy that may fertilize innovation.) But DOE itself does not control what the government as a whole does. Overall, ARPA-E seems too sequestered from the civilian, commercial market space to play nearly as impactful a role as DARPA does in the comparatively confined, noncommercial Defense sphere. Finally, any call for more government funding for ARPA-E or energy innovation more broadly — or just about any other ‘discretionary’ budget item — runs into the harsh realities of the dire condition of federal fiscal policy. The Congressional Budget Office has forecast that in just a few more years, under current unsustainable fiscal policies, entitlement programs (chiefly Social Security, Medicare, and Medicaid) plus interest on the government’s ever-growing debt will consume 100% of federal tax revenues. Everything else the government does in the discretionary budget would need to be paid for by borrowing — meaning more debt and more interest cost. So unless and until there is substantial reform of both tax and entitlement policies — which the Congress has been persistently avoiding since the Clinton administration — it is very unlikely there will be any more money for ARPA-E. If there is, it won’t be for long. And more likely there will be less.